Here at TDC we’ve recognised the advantage of using wet batch concrete and have recently employed the first commercial wet batch operation in WA. From its superior preparation process to its unparalleled quality we have improved our construction capabilities and efficiency to provide Perth builders with a strong, consistent, cost effective concreting solution. In a dry mix, all the pre-determined supplies or constitute materials are continually weighed then dropped into the mixing truck while being mixed in transit to the worksite. Upon arrival a quality check is carried out by the individual mixer truck operator and while necessary, this inspection process can often yield inconsistent levels of quality. These factors among others gave us cause to consider the wet batch method and we have seen here in Perth a dramatic improvement since the plants implementation. TDC’s wet batch differs by individually weighing all the constitute materials – including water – at a central location within a mixer; the quality of the mixture is overseen by our plants batching operator, who is able to control the slump and ensure the concrete is mixed and cement particles are adequately hydrated, this attention to detail minimises irregularities and helps maintain a consistent product. The need for consistency in today’s construction industry is paramount to the level of work that can be undertaken and with the advance in structural design and capacity it is necessary to have strong, reliable concrete to work with. Our wet batch plants see the same mixing action for every load and an initial quality control point when discharging from the central mixer. By guaranteeing repeatable mixes and a consistent quality wet batch plants have become an asset to TDC. The advantage of wet batch concrete (insert link here) is the control you have over your product and the minimisation of outside interference with the preparation process. Being able to effectively control the slump and ensuring the sufficient mixing of the concrete provides both a superior product and slump retention. 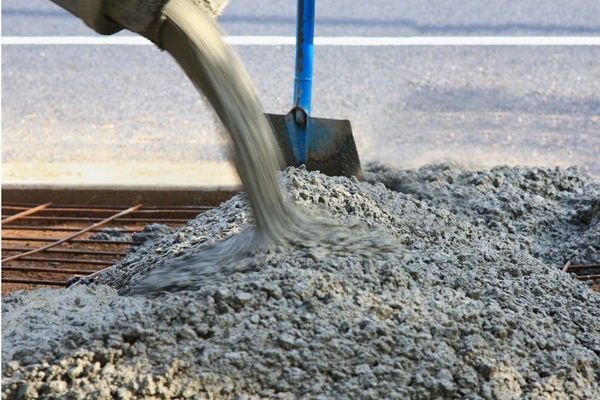 Wet batch concrete is suitable across the board for any job but it is perfect for when you require a considerable volume and need to cover a large surface area or depth. From shopping malls to swimming pools wet batch is a particularly favourable method for high strength concretes from 60Mpa and above. Using the wet batch method, concrete suppliers can create specialised designs using aggregate cementious products and other materials employed in the mix, guaranteeing an even pattern spread in a more precise way than using any other method of producing concrete. At TD Concrete we are committed to excellence, if you have any questions regarding wet batch concrete or any of our services don’t hesitate to contact us.